After many years of teasers and leaks, Lamborghini have finally revealed their new 641 horsepower Urus 4x4, a car they calling the 'Super SUV'. The performance numbers are very impressive for a big car tipping the weights at over 2 tonnes, with 0-100 kph going past in 3.6 seconds and then 0-200 kph in 12.8 seconds. The top speed is set to be over 300 kph making the Lamborghini Urus the fastest SUV available for its launch in 2019. All this performance is thanks to the twin turbocharged V8 borrowed from the Porsche Panamera Turbo and Cayenne Turbo. 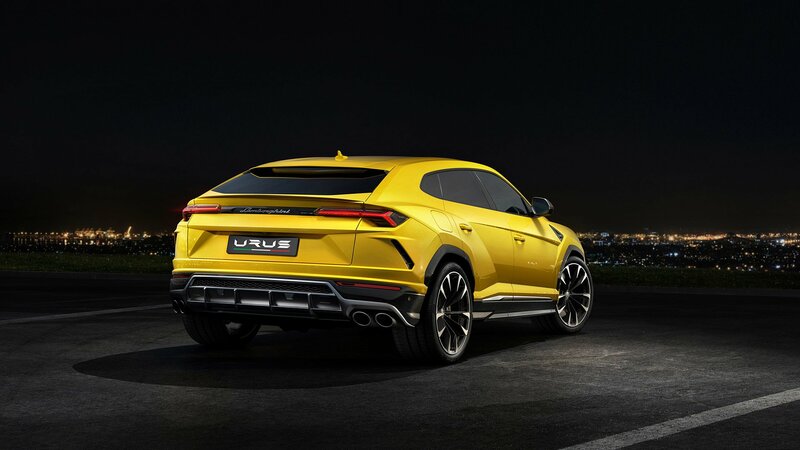 In the Urus the engine makes more power than in the Porches, which helps provide a good power to weight ratio of 3,38 kg/hp. Explore More Wallpapers in the Lamborghini Urus Sub-Category!